Master the rapid iterative approach of Scrum to collaborate better and add value to Agile projects. Accredit your leadership skills for Agile project work! Do you want to confidently apply Scrum methodology in your organisations to effectively manage issues and roadblocks? In this course, you will gain an understanding of the Scrum philosophy and principles, practical knowledge of Scrum, including roles, meetings and artefacts. This course will immerse you in the fundamental principles of Scrum. By the end of it, you will be able to confidently implement best practice and avoid falling into bad habits that can significantly impact project delivery, quality and cost. Testers, BA’s, Developers and Team Leaders looking to boost their career in Agile. Agile Project Managers looking to formally accredit their skills as a Scrum Master. Project Managers looking to build and adapt their skills for Agile project work. EXTRA COURSE INCLUSIONS: Our Pass Guarantee, Exam Revision Questions, Career Assistance Program (CAP) and other Agile goodies are just a few of the extra inclusions you receive when training with Planit. View our full list of extra inclusions. "Fundamentals of present Agile methodology is explain really well, which makes it so easy to grasp. I am highly motivated to implement my learnings in the current projects." This exam is conducted online, containing 40 questions and you have 60 minutes in a single session to answer all of the questions. After completing the course, you can take this 'FLEX' Exam any time within a year of course registration. 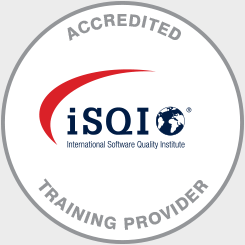 In order to pass the examination and to obtain your iSQI Scrum Master Pro Certification you need to correctly answer at least 65% of the questions. Start now and pay later. Courses start from just $25 per week. Thanks for your interest in our In House TrainingWe will need to collect some details so we can give you accurate pricing information. What is included with this course? On the rare occasion a student doesn’t pass, they can re-attend the course for FREE within 6 months (Excludes exam re-sits). 2 days of classroom training with a certified industry professional. Full catering is provided including morning tea, lunch afternoon tea. 250+ page comprehensive course manual. Pass first time with our exam revision questions included with the course. Get a set of Agile Planning Poker playing cards for use in your Agile team. Get a quick guide Agile Snapshot poster to reinforce your learning in the workplace. 6 months access to the Online course. Extensions are only $200 for an additional 3 months. Opt-in for our Career Assistance Program (CAP) to access resources for improving your hiring prospects and gain direct entry into Planit's hiring process. "The course presented a lot of Ideas that we can implement in our project to improve delivery and how we manage it. It will also help to increase our productivity and our velocity. In summary, this was a very useful and relevant course."